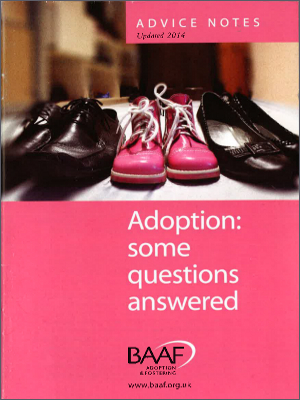 This Advice Note explores adoption, providing basic, clear facts for those who may be thinking about adopting. 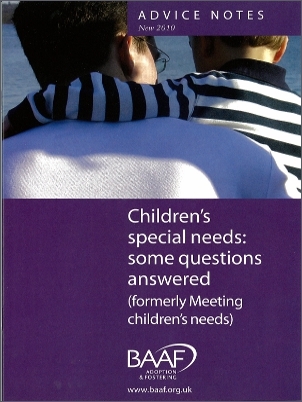 This Advice Note explores some of the special needs that children who are being looked after or adopted may have, and how these may affect their day-to-day lives. 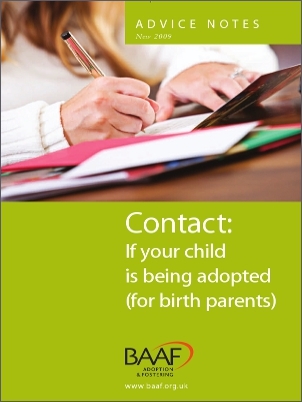 This Advice Note explores contact, with information for those who are adopting a child. 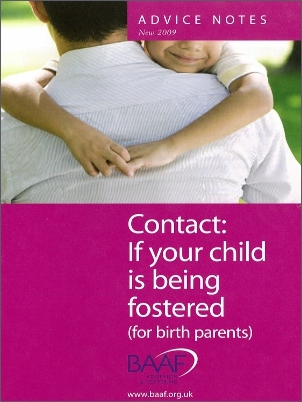 This Advice Note explores contact, providing basic, clear facts for those who are fostering a child about what to expect. 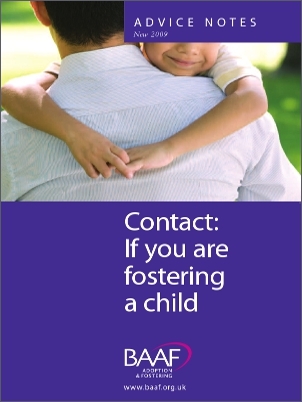 This Advice Note provides basic, clear information about contact for those whose child has been, or is about to be, adopted, with details about what to expect. 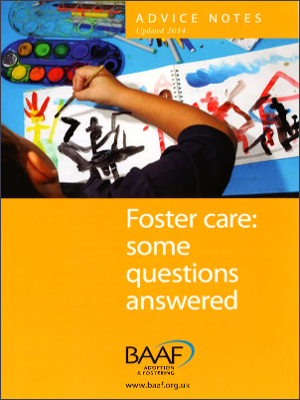 This Advice Note explores foster care, providing basic, clear facts for those who may be thinking about fostering. 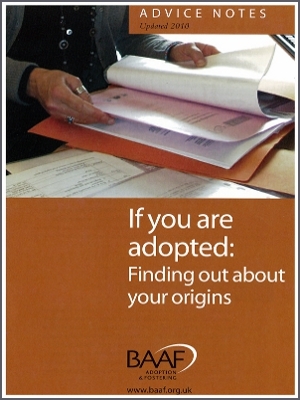 This Advice Note explores the issues for those who are adopted - in particular, finding out about origins and birth relatives. 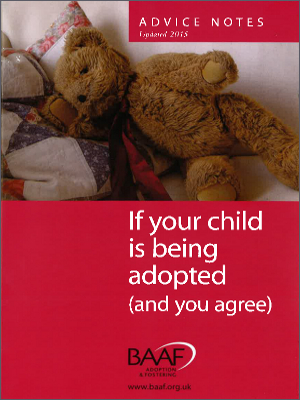 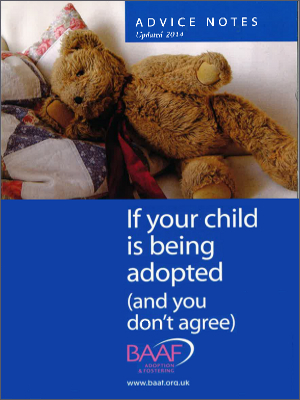 This Advice Note provides information for those whose child is being adopted, in a situation where they agree with the actions being taken.